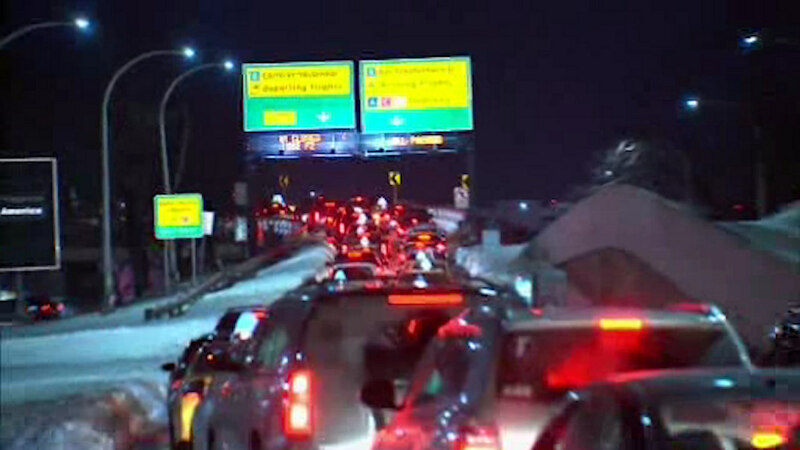 JAMAICA, Queens (WABC) -- Flights are finally taking off and landing at LaGuardia Airport, but people trying to get to or from the airport were finding themselves in massive gridlock Monday night. The backlog of flights and an ambulance fire that shut down two lanes on the Grand Central Parkway earlier in the evening combined to cause a traffic nightmare. Some people were stuck in barely-moving traffic for two hours. Add to that a lack of taxis. The wait in taxi lines to get out of the airport was over three hours.